Street style pictures, we all adore and cherish them! Source of the real and biggest inspiration, especially for any person swimming in the fashion waters! Best show timing- definitely during fashion weeks! This time: NY, February, fall 2012 fw! Many of those photos you already saw, but here I'm giving you my recap! Extraordinary fuchsia!! Anna knows the way to capture my heart! "Petite" Mira has never disappointed me! "Minimalistic" girls always have good fun! Orange gives vibrant touch to any look! We gonna love and wear it this spring/summer! All about this photo and look is completely powerful! Statement necklace instantly catches the attention! 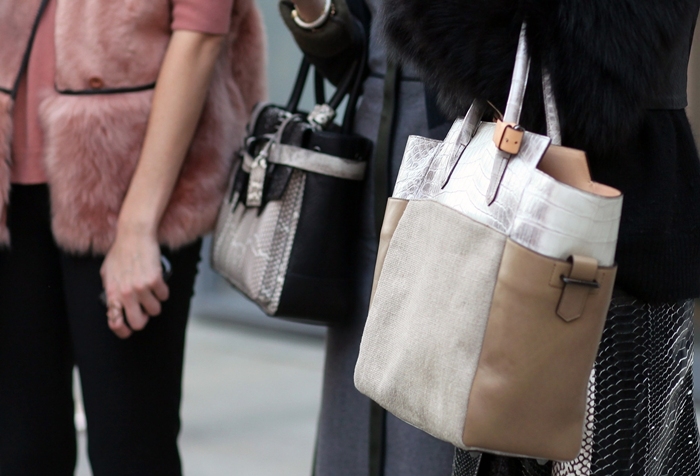 Lately I'm drooling over any Reed Krakoff bag!!! How radiant she looks like? In love with her smile!! really want that angora looking pretty pastel coat! ooh gorgeous inspirational photos! Love them! i so so love street style photos. I love NYFW style. I have been stalking pictures all week! NYFW is one of my favorite times of the year because of the runway and the street style. Ja bih ove fotke gledala dan i noc! Inspiracija da bolju ne mozes naci! Obozavam street style! Kakve cipele, detalji, savrsenstvo!!! ODLICAN POST Jeco ♥ Ljubim te puno! Great inspiration :) They're all very pretty! That blue coat is really awesome. they all look so glam! Those are some amazing clicks!! Great inspiration!! I am in love with all of the outfits here, these girls are so stylish! Love this post, :-). OMG! Those are so many beautiful outfits! I love it! So inspiring, not only the Looks but just because it's in NYC! 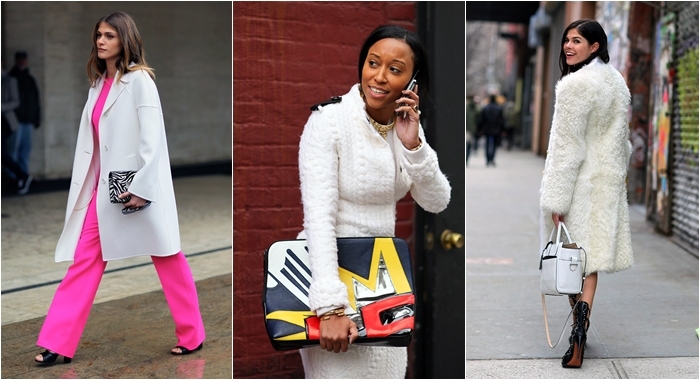 I love fashion week street style, the white coats are fabulous, and I love that bold pink look! 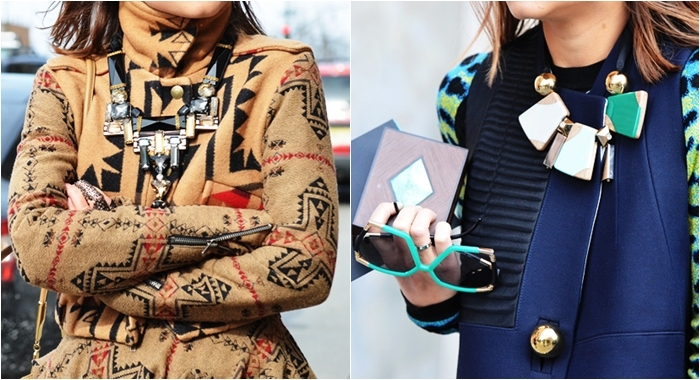 love, love, love street style photos during fashion week. everyone always dresses to the 9s at these events, don't they? seriously, awesome fashions. Hanneli is such a great inspiration ! I know that you probably (Like 99%) don't even remember me, i used to have a blog and we used to chat a lot. I am Marianne by the way and i am from Greece, Athens and we were kind of following each other until one day i shut down my google account and blog and i completely lost touch with you. and now after a year and maybe more i am back for good, and i am so glad to find you your blog again (i couldn't remember the name until i found a comment on yours in another blog and i was yeahhhhhh). and although you probably don't remember me which is fine by me, i am glad to be your follower again and i am so happy that your blog has so many followers now. and that you live in greece, i remember you visiting greece before, i have commented on plenty of your travelling posts. remember this post of yours??? well i was "mariannaxoxo" back then now i am "marianne m." big difference lol. thing is that this post comes from december 10th 2010!!!!! yeah!!!! i've been away a long time. ooops sorry for the long introduction, i just had to say what i had to say. hope that you'll like my new blog as well, and maybe follow me back again. lol. 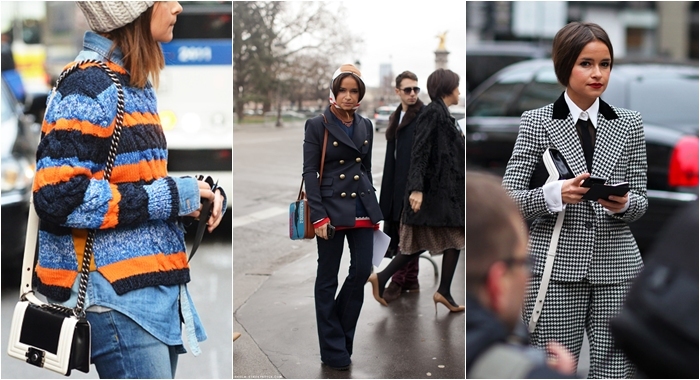 How come I can never find these fashionable ladies when I go out in search of them for my streetstyle shots! They are all so wonderfully dressed!! I just did a NY street style post too :) haha I love the looks you picked! SO great! OMG!!!!! I'm in love with the light blue coat!!! !